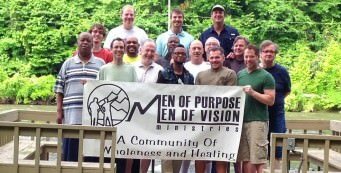 "When there is no vision the people perish"
What is Men of Purpose Men of Vision Ministries? 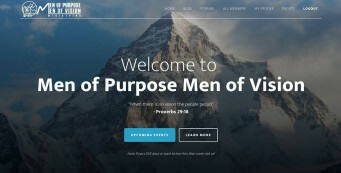 “Men of Purpose, Men of Vision” is a ministry for men that have been wounded in the spiritual and emotional battles of life. It is a ministry for men that are hurting within. This ministry provides a safe environment where men can be transparent, they can be open, and will be able to share from their hearts with each other. It is a ministry that will bring healing and wholeness to individuals who are willing to walk by faith; men who are willing to allow God to do the work of restoration through the forgiveness found in a relationship with Jesus Christ and the personal indwelling of the Holy Spirit. But in the multitude of counselors there is safety." Some issues require one-on-one discussion with a trained counselor. For this reason we provide Christ-centered, biblically-based counseling to individuals or groups as the need arises. We’re excited to announce the launch of our new website! Visit this page and leave us your feedback. 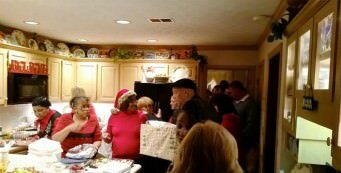 Check out the photos from the 2014 MOPMOVM Christmas Dinner at Don’s house in Acworth, GA. 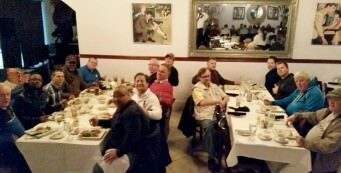 Here are several photos from the MOPMOV Thanksgiving dinner at Caper’s Restaurant in Kennesaw, GA at 1635 Old 41 Hwy NW, Kennesaw, GA 30152. Check out all the great memories our Men’s Ministry Group made at the 2014 Fresh Anointing. Small group Bible study is a time where we purpose to open our hearts to hearing and receiving the truths which are revealed in the word of God. It is also a time of personal sharing as we are led by the Holy Spirit. Small group study is a time where our hearts become bonded in a community as we seek to support one another through biblical encouragement and prayer. Prayer is essential to this time. Before and after each study session we will take the opportunity to pray for those needs which arise within the group as well as provide praise reports which give testimony of how God has been working in our lives. Subscribe to our newsletter to stay up to date with prayer request, Jesus Calling, and event updates. Which list do you want to subscribe to? "Behold, how good and how pleasant it is for brethren to dwell together in unity"
As followers of Christ, it is imperative that we join our arms together in the journey. Fellowship (koinonia) is a time where we purpose to do just that. Our fellowship is a time where we grow in our understanding of one another, as we also grow in our understanding of our walk with Christ. As we grow in relationship with Him, our hearts become renewed. From these hearts which are being renewed we are drawn to worship God in the Spirit of Truth. Worship is a time where we join together in songs of praise to our Heavenly Father. This is an opportunity to know and experience the power and love of God.